Lets go for half full on this occasion. Sometimes broadcasters only cover or transmit part of a concert, and I am guessing (having as a Sparks fan, tried to check this one out) this is what occurred here. 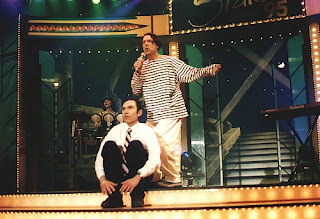 Contractual obligation, a lack of appreciation on the part of the producer or presenter, other more 'current favorable artists', and of course available 'air-time' in the 'pre-digital' age, may have resulted in Sparks being cut down to just a thirty minute broadcast on this occasion - who knows? If I had a pound, a dollar (US or any other) or a Euro, for every artists song that has 'lifted' some of Sparks unique style and creativity, I reckon I would be doing very well financially. There are more complete Sparks bootlegs out there, this one stands by the audio quality, and the actual performance on the day. Goldfrapp have a new CD album release (Seventh Tree) due out here in the UK on the 25th February 2008. I am an unashamed and somewhat 'gushing' fan of Goldfrapp. No doubt (and based on the last three albums) I will buy the deluxe CD/DVD version of the album for my collection, regardless of the freebie mp3 versions that arrive. Every album they have released, contains a healthy amount of 'new direction' whilst retaining the very essence of Goldfrapp, which is a unique style that skips across genres and keeps music cretins (sorry critics) on their feet. Back in 2004 Goldfrapp played Glastonbury, and thankfully a reasonable part of their show was recorded for broadcast, on either MTV or the BBC who were both present at that years event. This is one continuous segment of the performance (except for the first song which opened the show and is edited on). 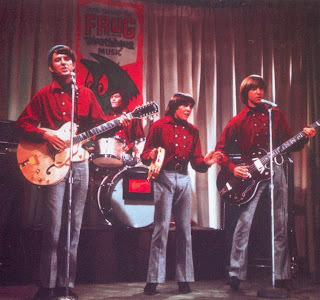 In the early days of The Monkees, there was some fuss over the fact that session musicians played on their first couple of albums. Add to this the fact that they had been brought together for a TV series, any thought of artistic integrity or status was a definite no. However they were fun, their fan base included The Beatles, and repeats of the TV series, still appear time and again on cable and satellite channels. However by 1968 the TV series was over, the band completed a far east tour, the last with Peter Tork as part of the band at that juncture, and their very alternative and psychedelic film 'Head' was released. This is from the 'far east' tour, and captures a band that at least live, probably still had something to prove. You can also enjoy a couple of 'hot rocking' Japanese DJ's whose voice overs, bring a huge smile to my face, somehow I think this was pretty serious stuff for them.